Today’s smartphones are, admittedly, one of the smartest commercially-available gadgets: they come with great computing power, loads of memory, advanced optics and a handful of sensors all powered by some of the most advanced operating systems which, together, offer a better experience than your regular phone. Operating systems such as iOS and Windows Phone 7 allow users to install apps that extend your experience, but more open systems such as Android allow you to install not just apps, but also tweaks* that let you change your entire user-experience. 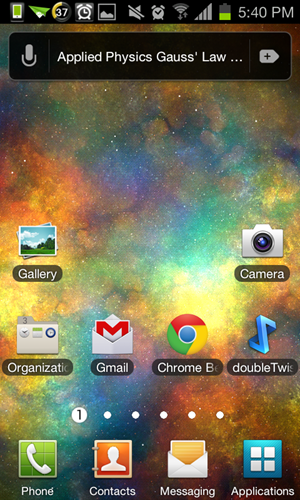 We cover Android tweaks regularly here at Redmond Pie and today we came across a very, very useful but underrated one. It’s called Screebl and you check out our review of it after the jump. Developed by keyeslabs, Screebl is an app which takes control of your device’s built-in power-saving features and lets you configure them based on, get this, your display’s orientation. Not making any sense? Well, say my display times out after 30 seconds. That’s fine and dandy for just about all the time but when you’re reading a lengthy article, loading a webpage over a slow internet connection or just looking at your device’s display without interacting with it, the frequent display time outs detract from the overall user-experience. One possible solution to this would be to increase the display time out. This isn’t feasible because it would have a negative effect on your battery life. The other, much better solution is Screebl. From the app’s settings menu, you can adjust the portrait as well as landscape orientation so that when your device is between a particular range of orientation, your display won’t time out. However, as soon as you get out of this range, your device’s display promptly turns off. 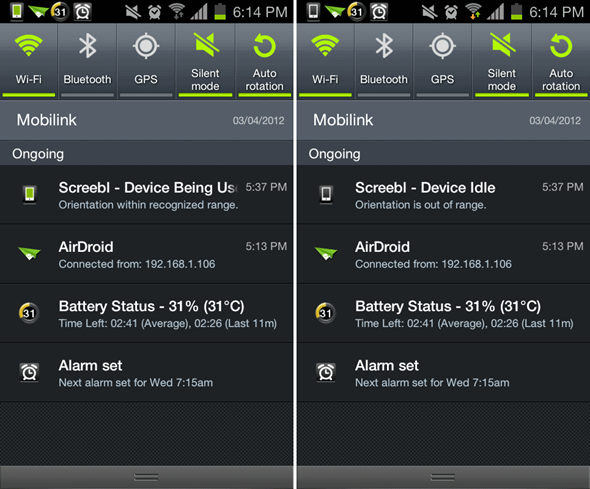 Screebl is able to detect this orientation using your device’s built-in sensors and background processing. From the in-app settings, I was able to set 10-80 degrees as my orientation range which conforms to the natural angle at which I hold my device. The display will never time out as long as its between this range and it will immediately turn off as soon as I put it on a flat surface (less than 10 degrees). This not only saves battery, but also considerably improves overall user-experience. Highly recommended! 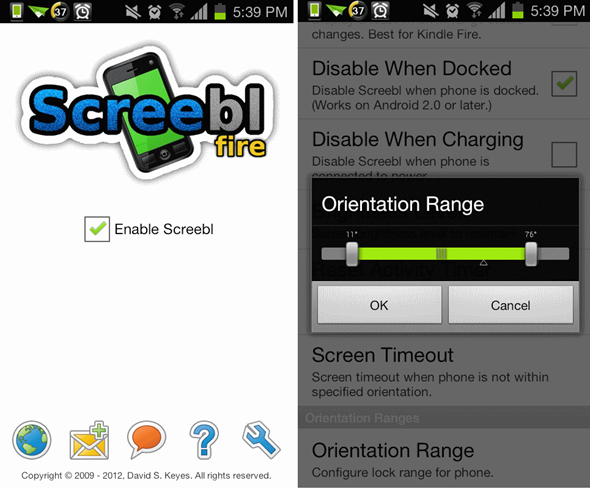 Screebl is available in three versions: a lite version [Google Play] with limited features, a Pro version [Google Play] with all features and Beta version [Google Play] with improved hardware compatibility, battery consumption but with some missing features. *iOS and Windows Phone 7 also allow third-party tweaks, but after jailbreaking/unlocking. Android gives deeper access to apps without rooting. Don’t forget to let us know of your impressions of this amazingly useful app by leaving a comment over on our Facebook and Google+ page!